KUALA LUMPUR: Datuk Seri Dr Ahmad Zahid Hamidi is expected to be called by the police over some alleged racial recent statements. 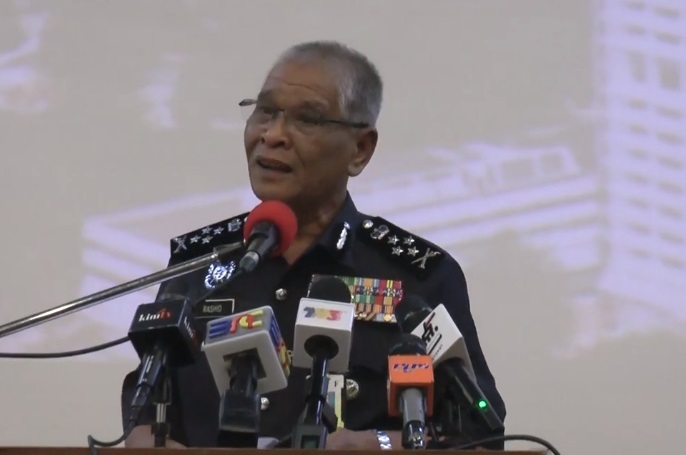 Deputy Inspector-General of Police Tan Sri Noor Rashid Ibrahim said that in a press conference yesterday at Bukit Aman. “The police viewed very seriously the recent statements issued by various parties that touched on religious and racial sentiments. The police will not hesitate to take action to ensure public safety and national security is maintained,” he said. The investigation papers had been opened under the Penal Code related to public mischief and criminal intimidation, among others, he told the media. He also mentioned that the police will investigate and question the organizers of the rally that is expected to be held on Dec 8 across Malaysia concerning the International Convention on the Elimination of All Forms of Racial Discrimination (ICERD). “We will interview the organisers and make ensure the rally will abide by the law and that it will proceed peacefully,” he said. Others that are going to be called by the police, according to the Star Online, are: Minister in the Prime Minister’s Department P. Waytha Moorthy, Pertubuhan Jaringan Melayu Malaysia president Datuk Azwanddin Hamzah Ariffin Abu Bakar, blogger Ragvinder Singh Jess, G3 deputy president Amran Ahmad Nor, Tanah Rata assemblyman Chiong Yoke Kong, Tras assemblyman Chow Yu Hui, Lau Shan Thean and Muhamad Edi Mohamad Riyars aka Edi Rejang.